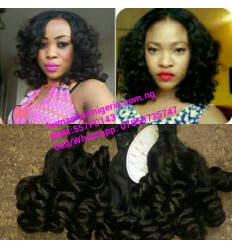 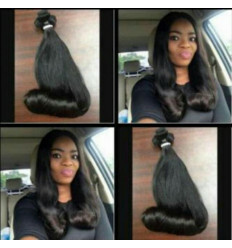 Funmi French Curls is 100% Human Hair Weave. 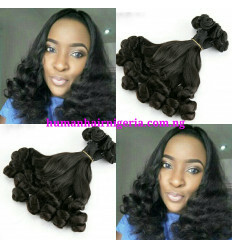 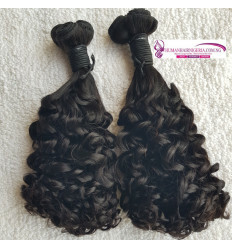 Funmi French Curls is a double drawn hair that is specially sourced. 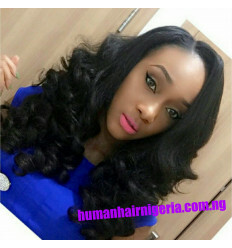 It is bouncy Curl hair to give a gorgeous look when worn. 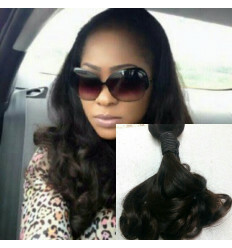 The hair is premium quality Virgin Hair and has a luxurious shine and texture. 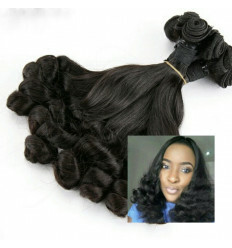 It is very durable, it lasts more than 2 years. 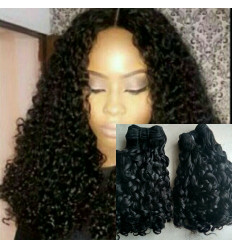 It is easy to maintain and it does not shed on tangle.